First for the littles. How annoying is it trying to keep a hat on a baby? And one that protects the face, ears and neck? And is stylish? It’s tough! Try out the shop George Hats on Etsy. They have really cute prints and the elastic keeps the hat in place. 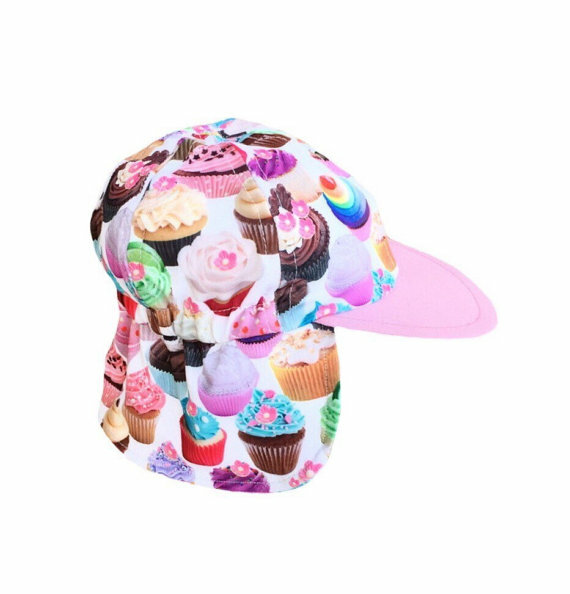 My favorite is this dessert print. But don’t worry they have the boys covered too…. You can never go wrong with monochrome. They are just a click away at www.georgehats.etsy.com. And speaking of for the kids. 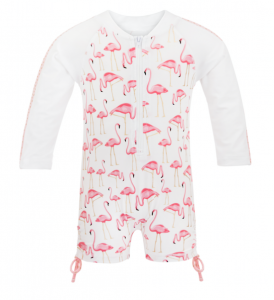 I’ve been eyeing this super cute flamingo print one piece from www.snapperrock.com for my girls. 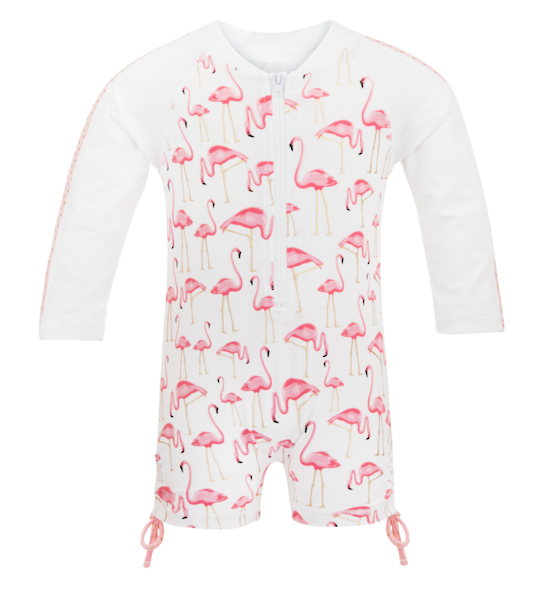 I haven’t pulled the trigger because there are no pants on it but I might use extra sunscreen to the legs and live a little because it is so dang cute! But let’s not forget about the adults. Another Etsy shop in the business of hat making is Freckles California. This shop will make you a custom wide brim hat, reversible! Pick your print, pick your color! 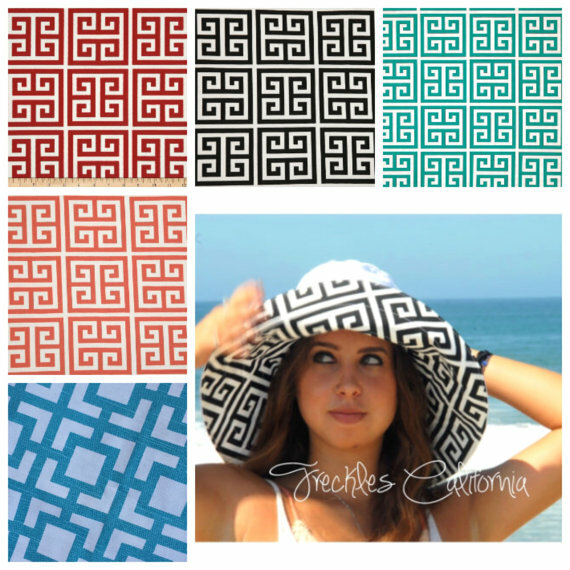 My personal fav is this greek key pattern in black because it is so versatile. Next up, one of my personal favorite shops, Cabana Life. I have shopped from Cabana Life multiple times now. They are an online store with men’s, women’s and children’s. They usually have a good sale running at all times. My favorite piece from them is the ruched rash guard because you can cinch it up and wear it with pants or release the ruching and wear it as a dress with bottoms while swimming. I love this embroidered one and it comes in multiple prints. Check out their lounge pants too while browsing the site. (www.cabanalife.com) They are comfy and cute! Want something affordable and easy to find? Head to Target. 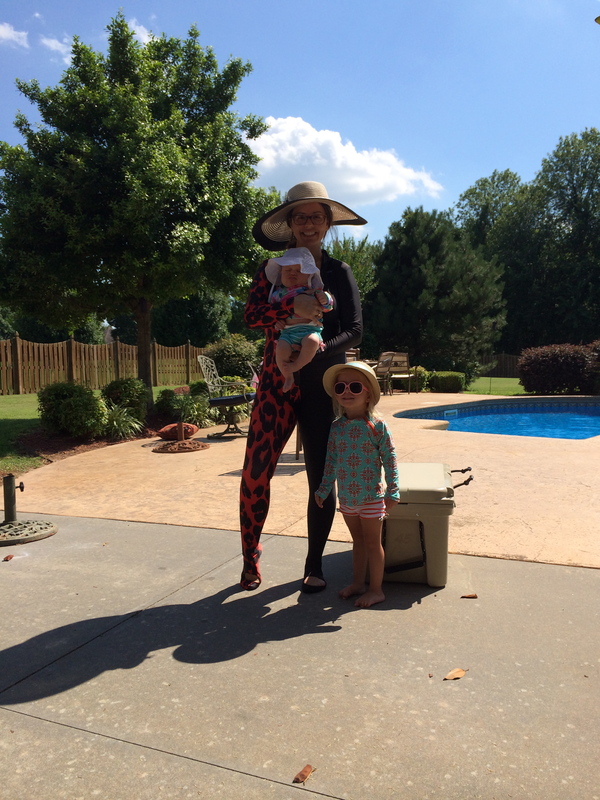 Marimekko for Target has some great rashguards and swim pants that are cute and come in baby to adult. Yes, you can match your baby or kids! Isn’t that fun? From $19.99-24.99 how could you go wrong? These are the two prints I found at our Target in Fort Smith. If you have followed me on my blog for any amount of time you have seen me in my one piece amazing leopard suit, if not here ya go! This one is from www.exoticwaterwear.com.au and they ship to the US for free. 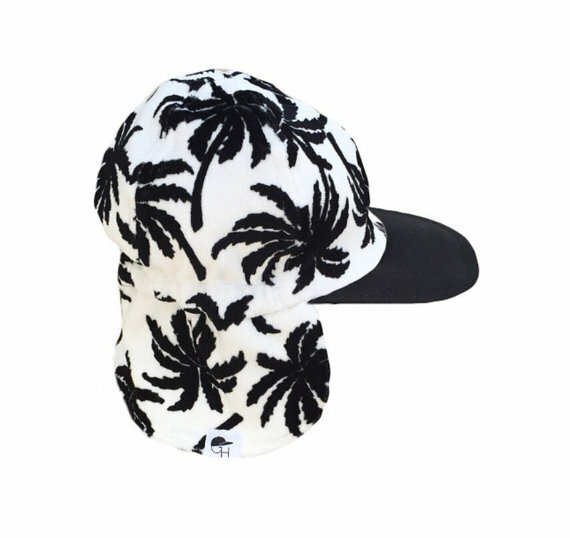 But I have my eye on a new print for this Summer. I found some really cute print one pieces at www.slipins.com like this tribal one!!! This print comes in pants and rash guard separates too. I really like all their prints but this is my fav and if you get it we can totally twin together this Summer! 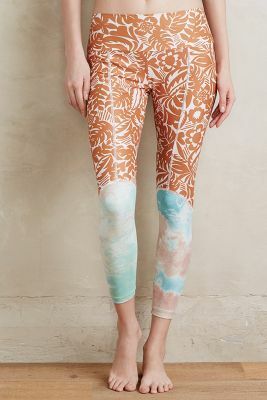 And for all you cool cats that shop Anthropologie they have teamed up with Seea again this year. Last year I showed you their vintage rose line (which I own and LOVE) but this year I am drooling over this new print…..
Hope you all found something you will find fashionable and helpful to protect your skin from harmful UV rays this Summer. I know I’m stocked up and you can expect to see me practicing what I preach the entire season. I will post beach pics later this Month! Have a great week and remember May is Melanoma & Skin Cancer Awareness Month so what better month of the year to stay skintastic or become skintastic?!?!? P.S. E-mail me if you ever need help finding sun protective clothing-combining shopping and skin is my happy place!